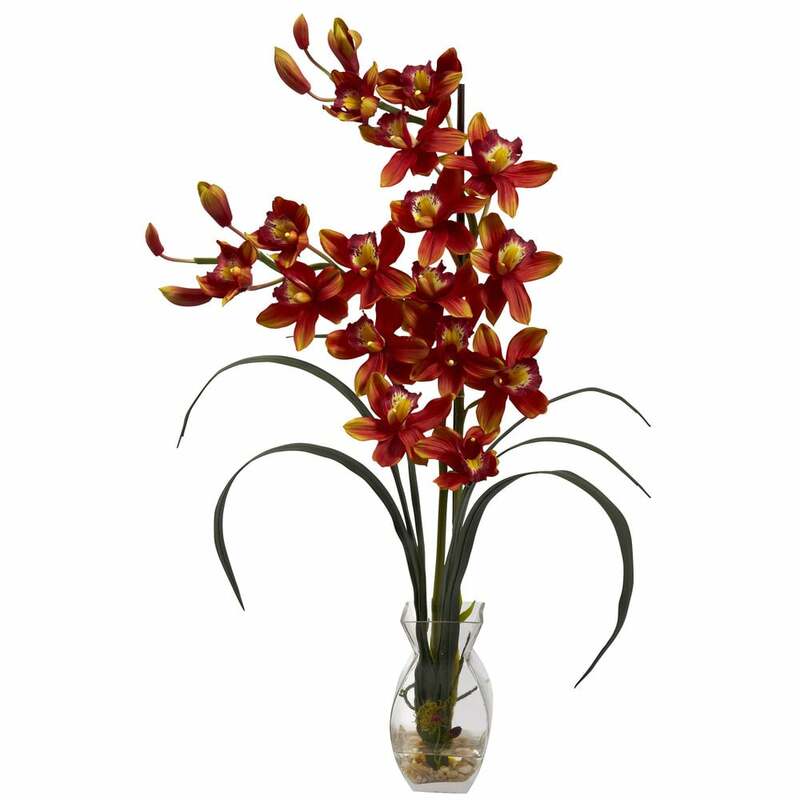 Incredibly elegant and stunning at the same time, this Cymbidium orchid embodies the perfection that is nature. Standing tall at 28" high, this beautiful flower bursts forth with blooms that seem to radiate sunshine. The delicate curves of the stems add to the intricate beauty. Complete with glass vase, faux water, and river rock to complete the look.